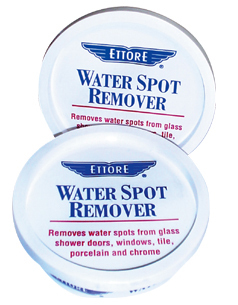 Water Spot Remover cuts through hard water deposits and soap scum. This paste is ideal for glass shower doors, windows, tile, porcelain, chrome and mirrors. It is abrasive-free and comes ready-to-use - no messy mixing! Wash away water spot build-ups from sprinkler over spray, chemicals and acid rain with our water spot remover. Removes water marks from hard water on shower screens. Do you have nasty hard water stains? 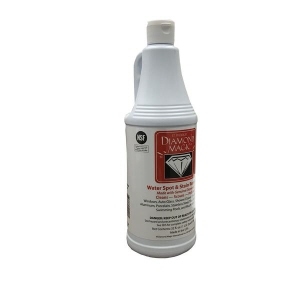 Diamond Magic Hard Stain Remover is made with real diamonds, creme compound especially formulated to remove water spots and polishes surfaces.